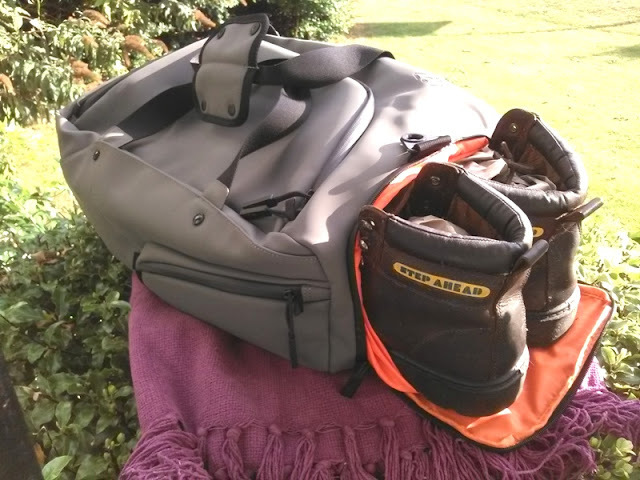 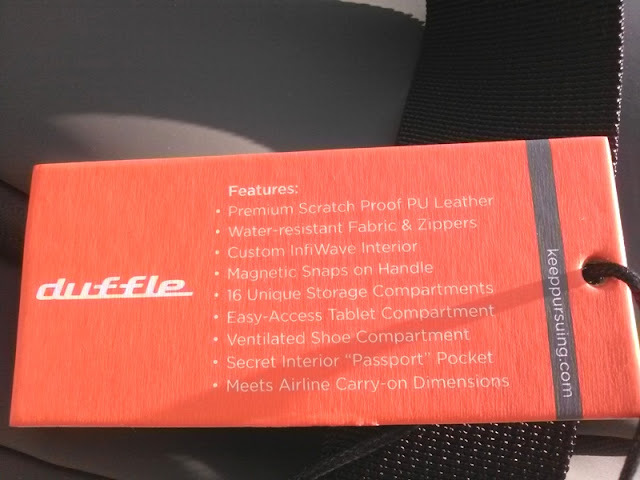 KP Duffle Travel Bag Comes With Ventilated Shoe Pocket & Water Resistant Zippers! 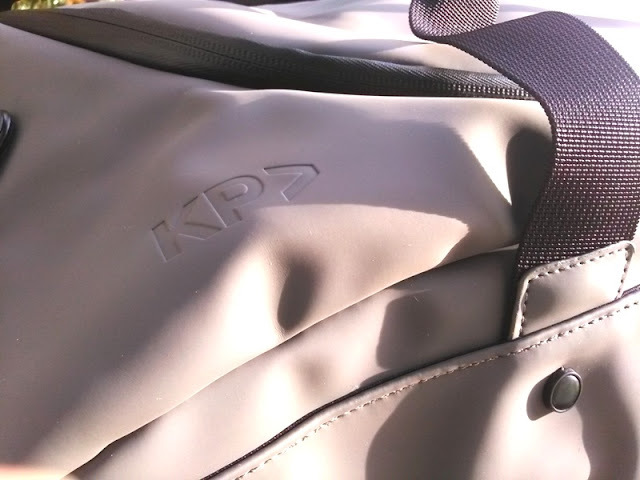 If you are looking for a slick water resistant travel bag with plenty of room that you can also wear with a pinstripe suit, check out the KP Duffle by Keep Pursuing! 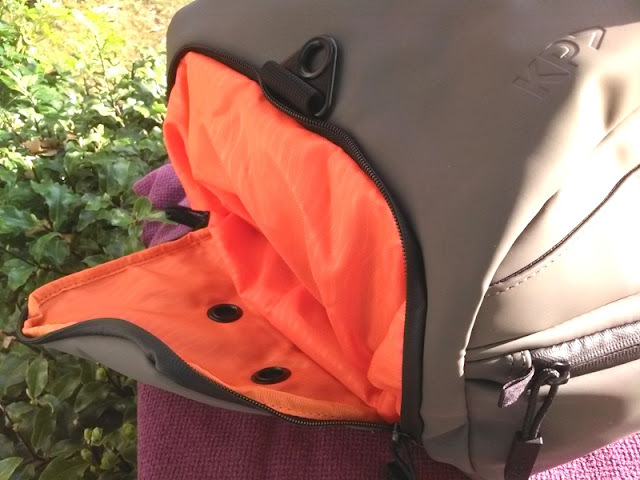 The KP Duffle pictured is the Predawn Gray model with orange interior which comes inside a nicely presented drawstring bag. 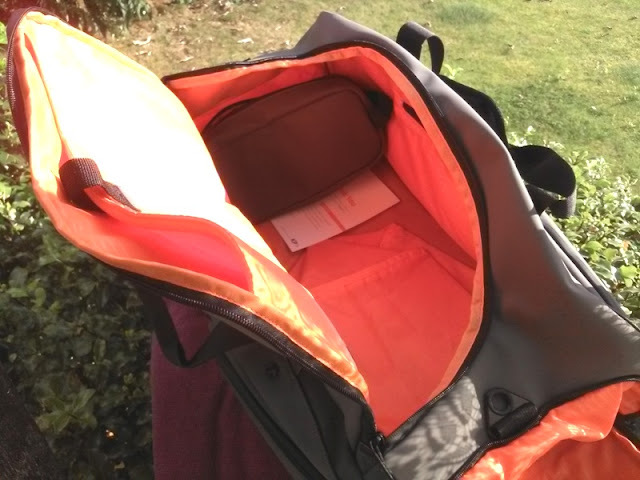 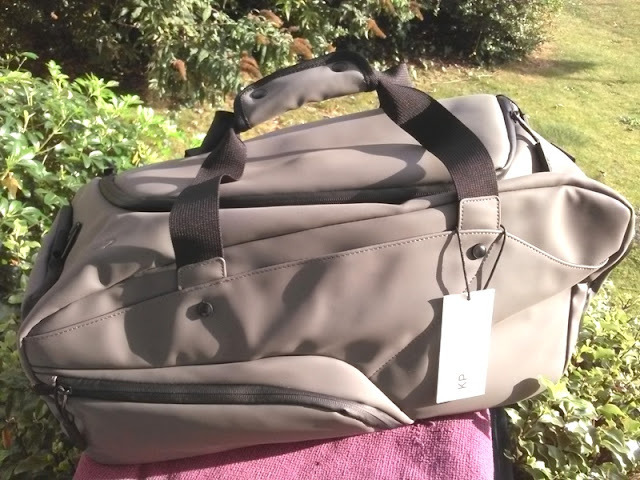 The KP Duffle travel bag is easy to pack and has plenty of storage with side zip up pockets and quick-access pockets which are great for keeping things like earphones, cable chargers, mobile phones, travel papers, passports and boarding tickets. 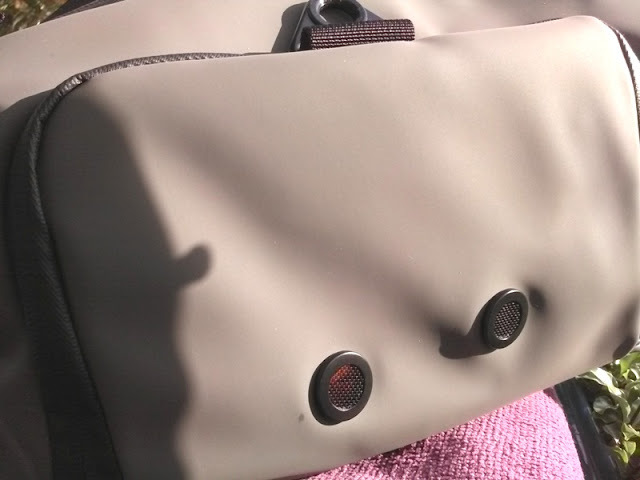 The padded handle on the KP Duffle travel bag has magnetic snaps, while the exterior of the bag and zippers are all 100% water-resistant. 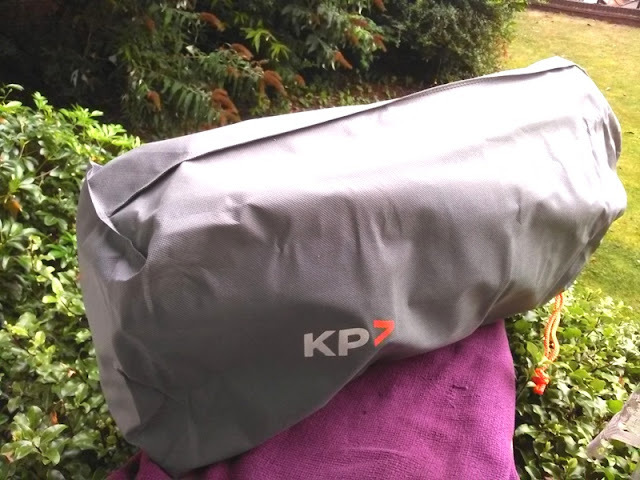 The KP Duffle shoulder strap is durable and comes with a thick shoulder pad and heavy duty hinges. 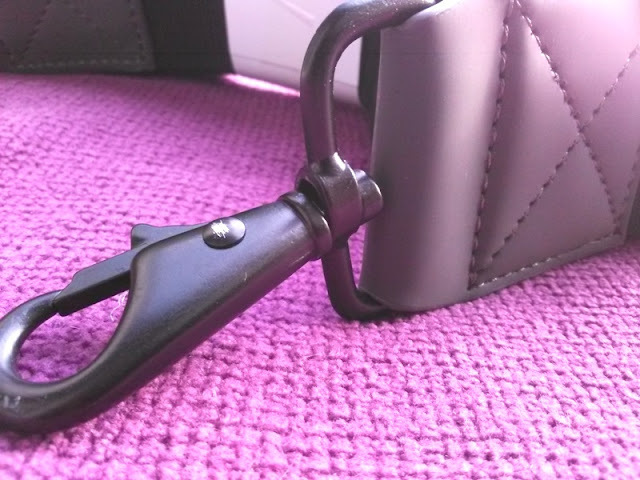 The stitching of the shoulder strap and bag throughout is high quality and very detailed. 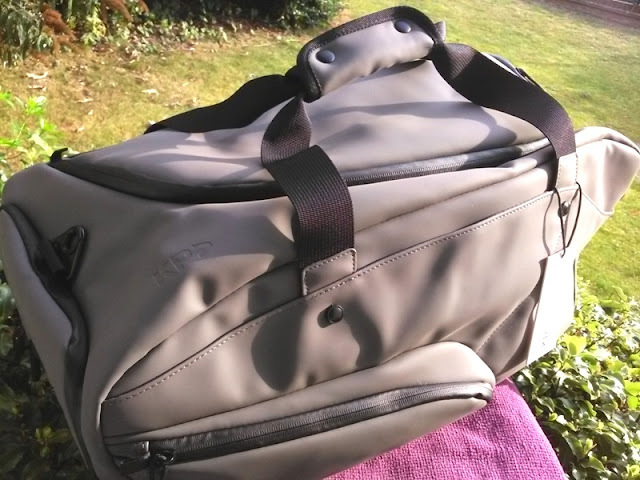 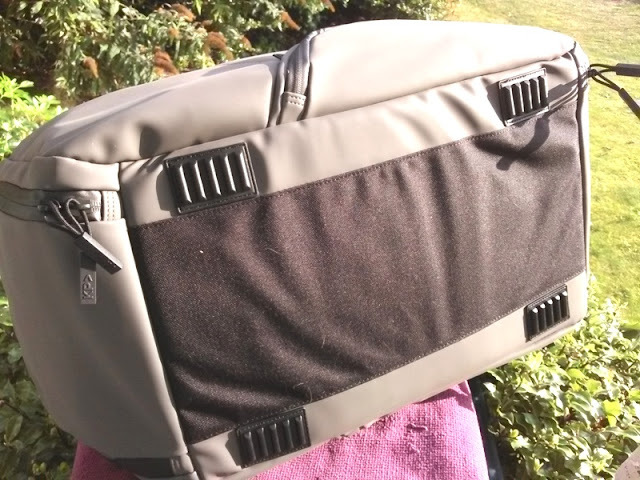 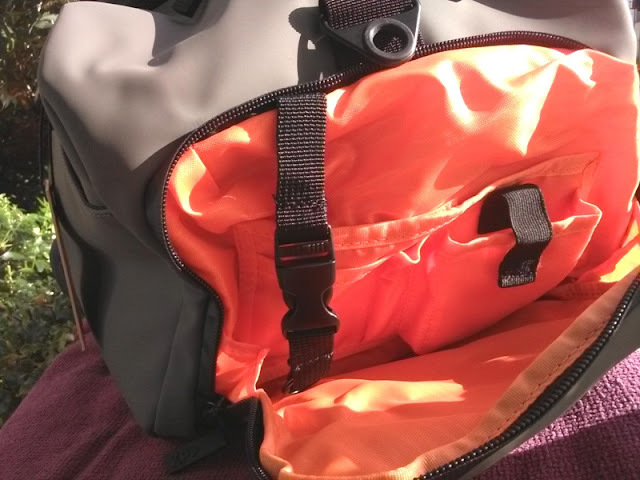 The top compartment is the largest pocket of the KP Duffle and it's great for keeping your laptops and tablets. 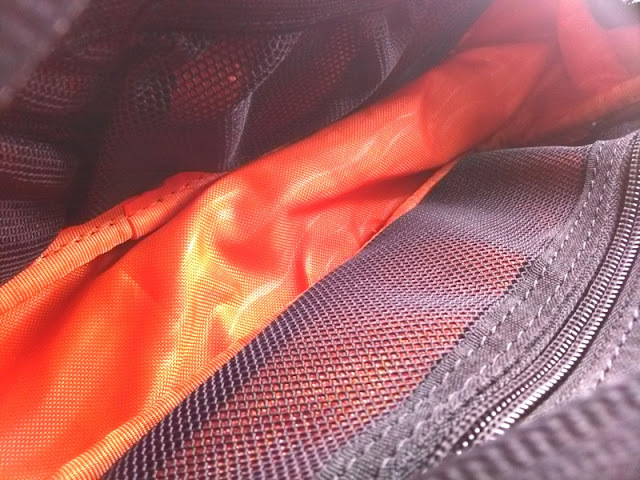 The other two main sections of the bag are on the front and back. 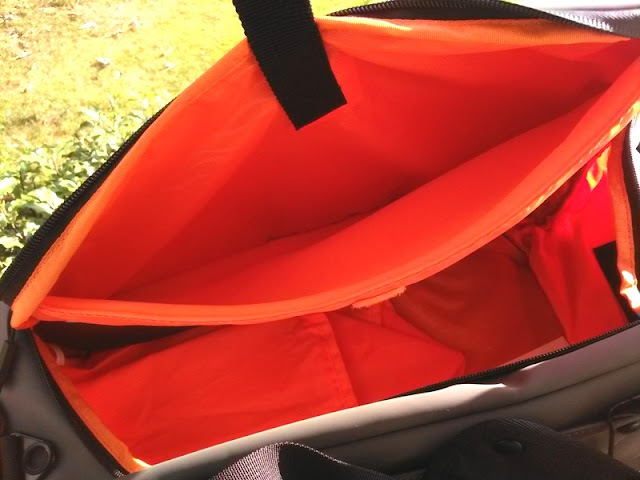 The front compartment is a utility section for keeping car keys, house keys and other useful stuff. 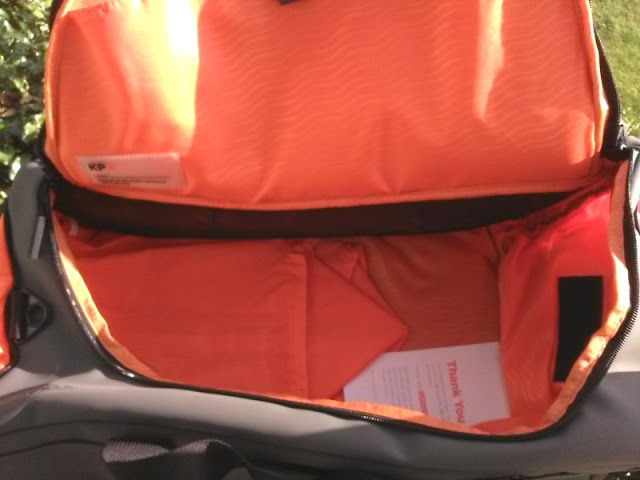 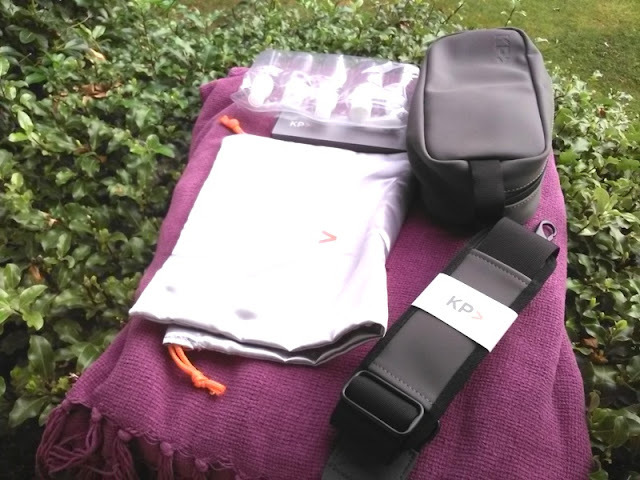 The back compartment of the KP Duffle travel bag is a ventilated section for keeping things like snicker trainers, used socks, underwear, etc. 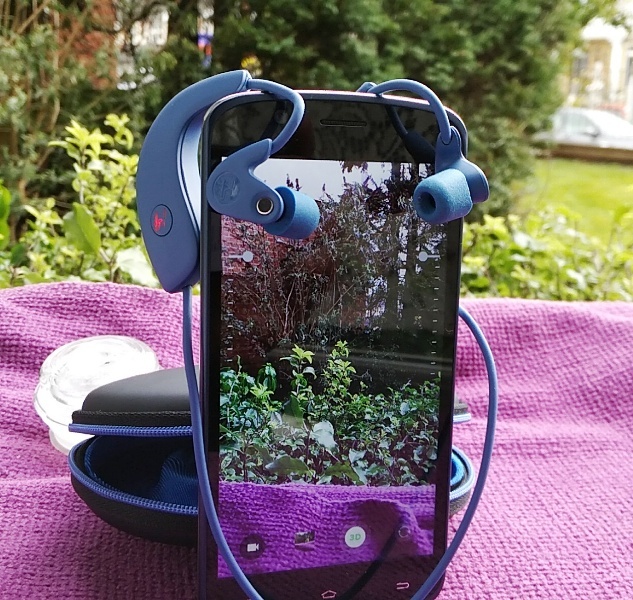 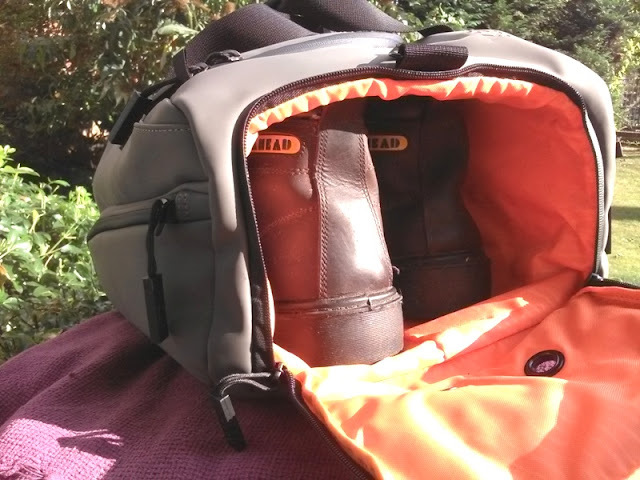 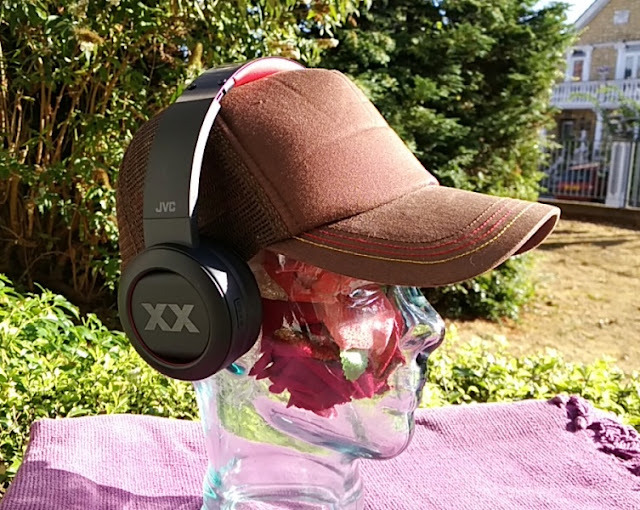 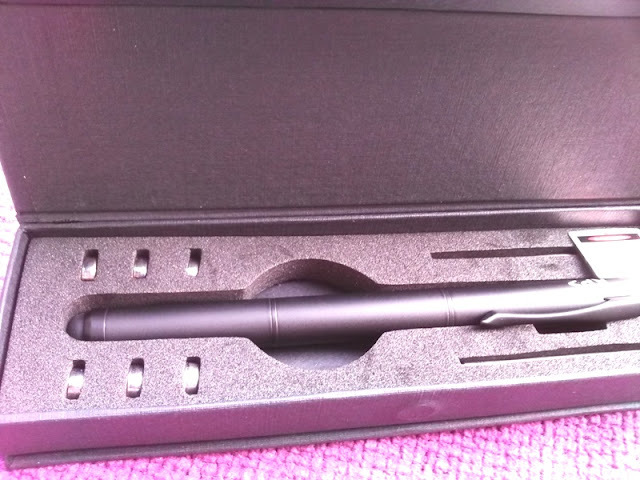 The ventilated pocket is very spacious and can fit workout shoes as well as high top boots, or two pairs of shoes. 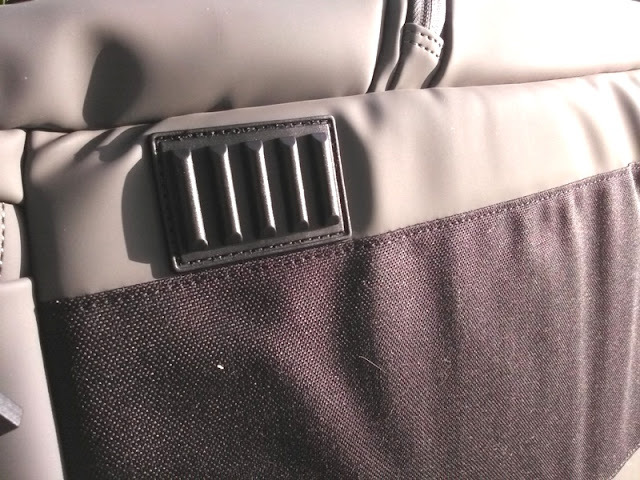 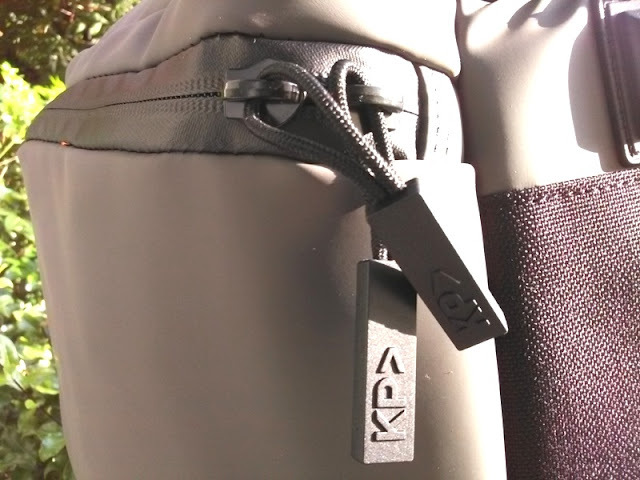 The bottom of the KP Duffle bag features raised rubber feet to prevent the bottom of the bag from scratching and dirt adhering to it. 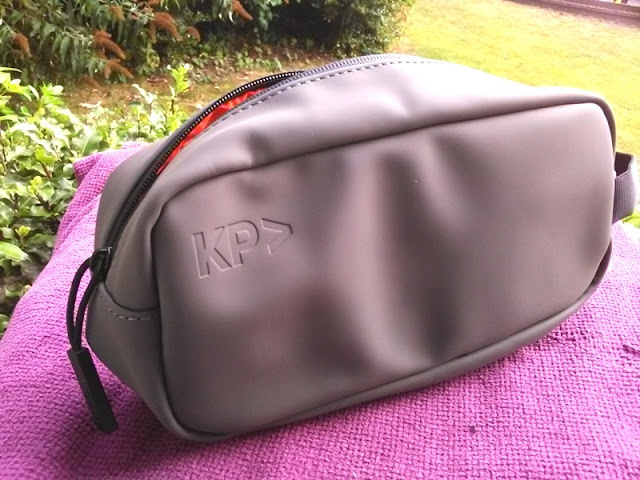 The KP Duffle comes with a Dopp Kit bag for your toiletries. 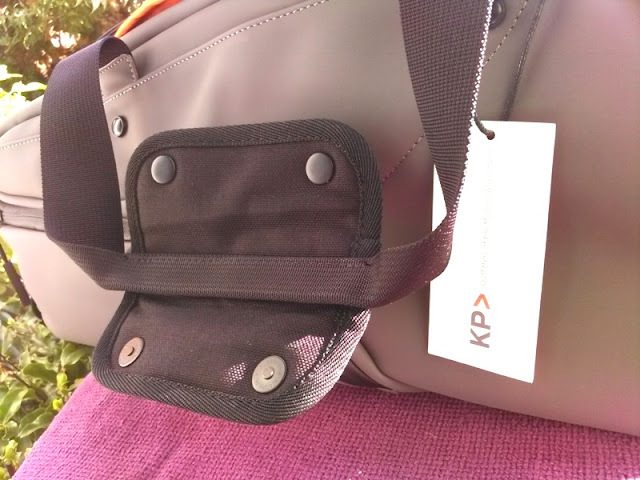 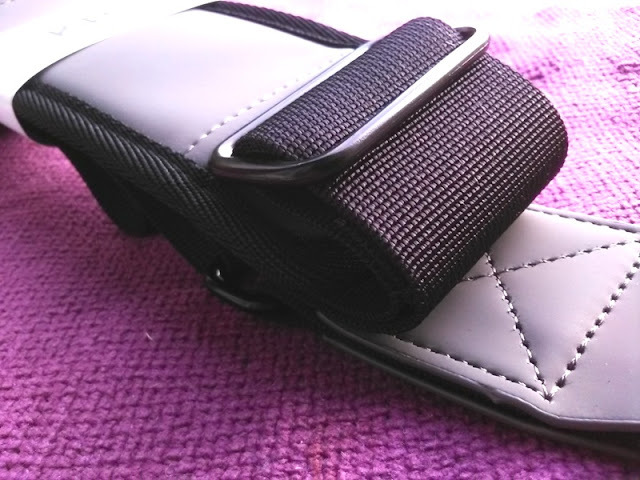 The Dopp Kit has a velcro strip on the back to attach it inside the KP Duffle bag. 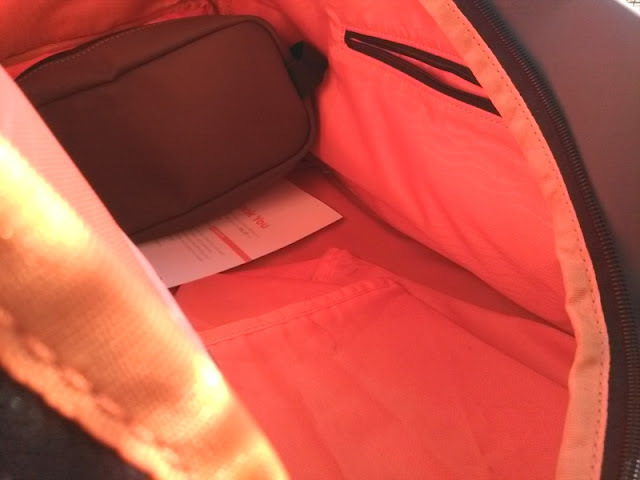 Inside the Dopp Kit, you will find a zip up pocket, two mesh pockets and a 6-piece clear plastic bottle set for storing shampoo, shaving cream, etc. 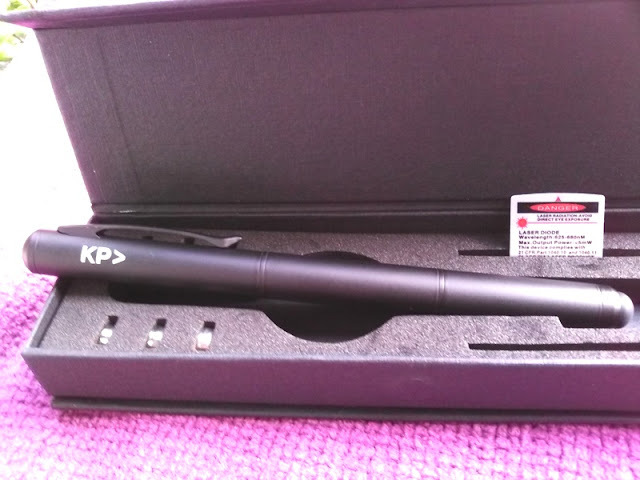 A few other goodies that come with the KP Duffle bag include a laser pen, 15% discount code and a smaller drawstring bag.